Thinking about offering your vendors the opportunity to manage purchase orders, tracking and packing slips themselves? The Jetti dropship portal is your answer. Our unique vendor portal is a great way to ensure that you and your vendors get exactly what you need from your dropshipping business. With a vendor portal, you can empower your vendors to manage their own orders, confirm purchase orders, enter tracking information and even download their own custom packing slips. If you’d like to offer your vendors discounting shipping labels, you can do that too. This is a great thing to do for smaller vendors or independent artists, who might otherwise be reluctant to dropship due to prohibitive shipping costs. Your vendor portal also comes with a custom look, which you can adapt to reflect your own unique brand identity. Add you own logo, colour palette and domain name for a polished and professional look that your vendors will automatically recognise. 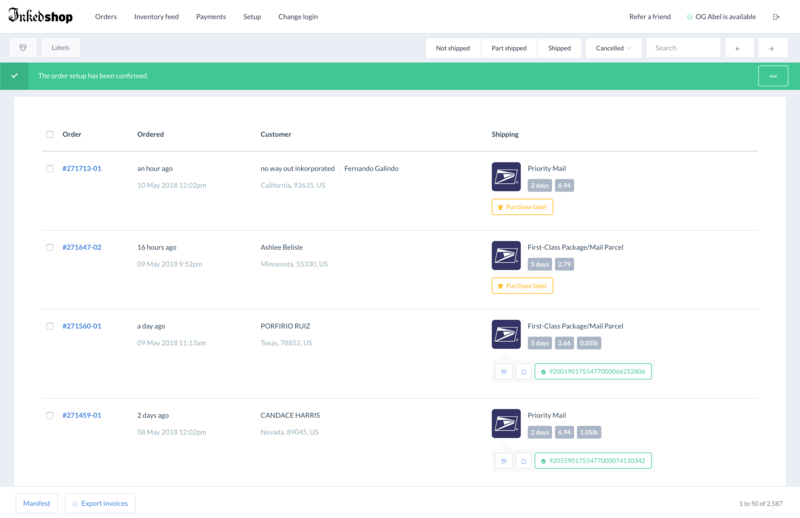 Once it’s ready, you can immediately start using your brand new vendor portal to sign up new vendors and encourage them to get onboard with your dropship platform. Sound good? Well, what if we tell you that this can all be set up within minutes! All you need to get your vendor portal up and running is an email address. We’ll do all the hard work for you.